What to Bring/Wear: Water (1 ltr), sunglasses, and a warm jacket / sweater. N.B. Women are advised to dress appropriately (e.g. no shorts and short skirts) and bring something to cover their arms, legs, and hair for when we visit the mosque. Experience the warm and generous soul of Lebanon’s second largest city and get amazed by its hundreds of scents, from the fresh fruits of Souk al Bazerkan to the soaps of Khan as Saboun & Khan el Masriyin. 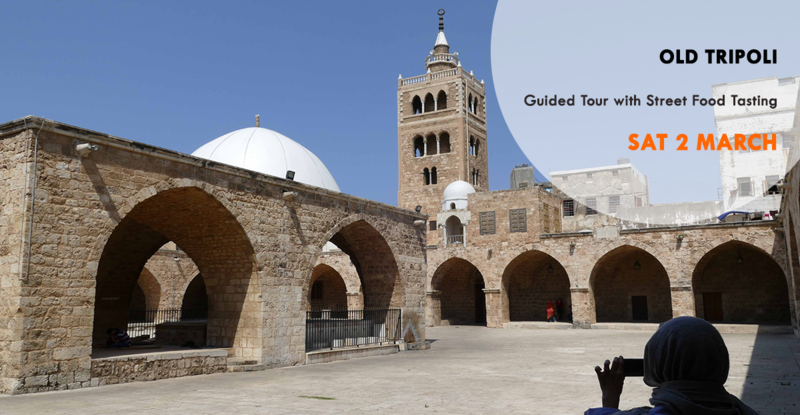 During your day, you will wander through Tripoli’s old town, a jewel left by the Mamluks during the 14th century, and visit the Great Mansouri Mosque, Souq el Akel, the Saint-Gilles Citadel, Hammam al Abed, Khan es saboun, Souq al Haraj, Souq el Khayyateen and Hammam Izz Ed-Dine. Since Tripoli is one of Lebanon's culinary capitals, along our way we will taste several mouth-watering dishes & drinks in some of Tripoli’s most famous spots: kneffeh with coffee/tea in Hallab; maliziye, hummus, foul and fatteh for lunch; a refreshing afternoon juice; afternoon falafel; and a final coffee in the famous ahwet Fahim! Cash or Creditcard Payment @ Saifi Urban Gardens, Gemmayzeh (Open 24/7). Other (Exceptions only - please contact us for the options: tours@living-lebanon.com).